2.0 Box Office: Rajinikanth-Akshay Kumar's movie's box office success comes on the back of its strong international collections. Rajinikanth-Akshay Kumar starrer 2.0 is finally on its way out of the theatres. Made on a budget of Rs 540 crore, 2.0's worldwide collection has comfortably crossed that amount. 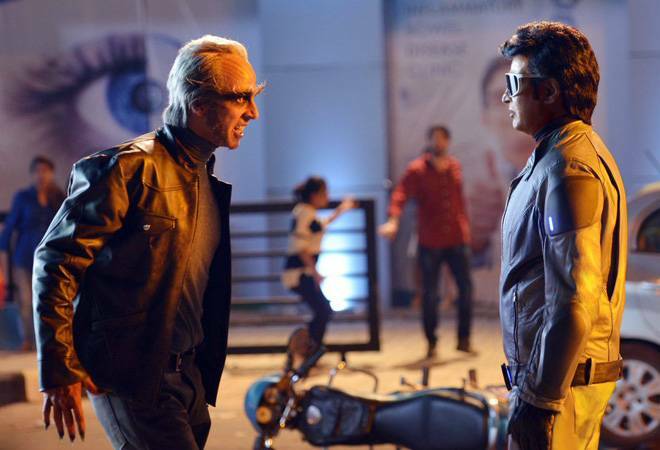 Rajinikanth's 2.0 was released in Telugu and Hindi as well. Akshay Kumar-starrer 2.0 has become the second highest-earner in India. It is still surpassed by Prabhas' Baahubali: The Conclusion. The collection of the Hindi version of 2.0 was a significant contribution to the movie's earnings. In fact, the Hindi version of 2.0 that proved to be a major success story, pulled in Rs 269 crore. The Hindi version of 2.0 became the fifth-highest Hindi grosser of 2018. Rajinikanth's 2.0's box office success also comes on the back of its international collections as well. Shankar's sci-fi managed to conquer the international box office as well. However, 2.0 is yet to release in China. 2.0 will run in 56,000 screens in the country. "Dubbed and subtitled versions of 2.0 is slated to release in China in 10,000 theatres with 56,000 screens (including 47,000 3D screens) in May 2019, the widest 3D release for any foreign film in history," mentioned the statement. 2.0 stars Rajinikanth as Dr Vaseegaran and Chitti, Akshay Kumar as Pakshirajan - the monstrous threat looming over Chennai, Amy Jackson as robot Nila, Adil Hussain and Sudhanshu Pandey.